September 22 , by Mardi Robyn. Today was the first day of Autumn! It was a lovely, beautiful day! ! I love Fall! It is one of my favorite seasons. Hot Chocolate, Apple Cider, pretty fire in the fireplace, smell of leaves burning, fleece blankets, hoodies, comfy clothing, and Autumn themed jewelry! 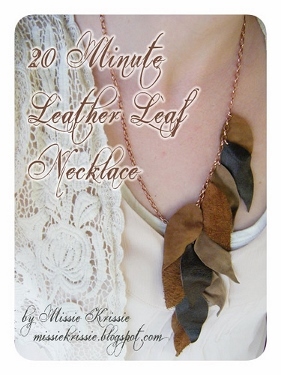 The first tutorial I want to feature is this pretty Leather Leaf Necklace. The designer Missie Krissie posted a detailed tutorial on her blog. She says it takes 20-Minutes to make! A nifty necklace to make to wear with your Autumn outfits. I like how Stephanie from Henry Happened upcycled scarf’s into bracelets! Makes me want to buy some scarves just to make bracelets out of them! 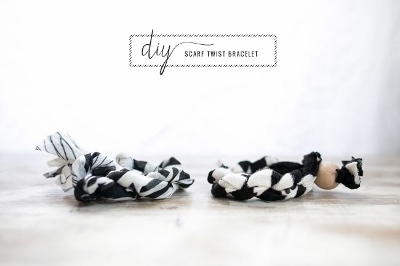 Check out Stephanie’s tutorial DIY Scarf Twist Bracelets. I briefly wonder why I never thought to make earrings out of sticks. 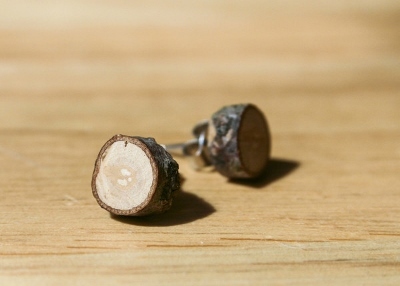 The Kandu Beads website shares an easy to follow tutorial for turning pieces of stick into Recycled Wood Earrings. Check it out! When I think of acorns, I think of squirrels! It so happens that I like both! I remember as a child, I would play in the yard and pick up pinecones and acorns. 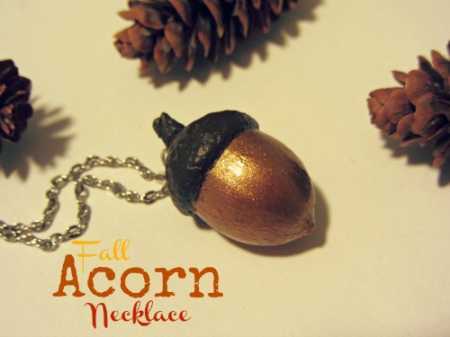 I vaguely remember asking my Mama, “Can we eat acorns?” Jessica from Homemakin’ and Decoratin’ shares a tutorial for turning an outdoor acorn into a pretty Fall Acorn Necklace. 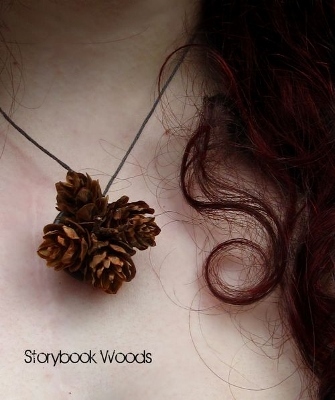 The last tutorial in this list features Pinecone Jewelry by Storybook Woods. In this tutorial you will learn how to make cute necklaces and rings using pinecones! Another great accessory to make for Fall! Read all about it here.